Video interviews, panel discussions, articles and Q&As featuring Market. Would you like to learn more about Q1 fluctuations in the domain name market? 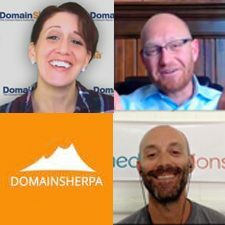 Hear expert domain brokers Drew Rosener & Chris Zuiker discuss Chinese domain name investments, 2 and 3 letter .COMs, and how crypto currency domain investments are evolving.